Based in India, we have gained experience in supplying and distributing best quality HPL Multi Function Meter. 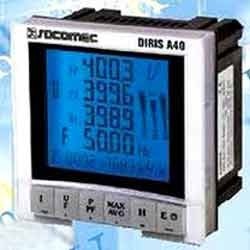 These Multi Function Meters are used universally to measure the amount of electric energy that is consumed. We make sure that our products are procured from the prominent manufacturers who maintain quality par excellence standards, thereby providing longer functional life. These HPL Energy Meters that we provide are available both in single phase and double phase. Moreover, we provide our fine quality products at an economical rate to our valuable clients. Since 2010, we, V. D. Electricals & Engineering Co. we involved in supplying, distributing, wholesaling and exporting Soft Starters for Heavy Duty Industry. The range offered by us compasses LCIF Contactor, Moulded Case Circuit Breakers (MCCB), LCIB Bar Contractor, Schneider Programmable Logic Controller, Fuses (Cooper Bussmann) and Distribution Transformer. In addition, we offer Circuit Breakers, Industrial Vacuum Contactor, Capacitors (Schneider), Change Over Switch (HPL), Medium Voltage Switchgear (Schneider Electric) and many more products to the customers. We source these products from authentic vendors of the market, who follow international standards in manufacturing. Owing to the features such as low maintenance cost, high performance and user friendliness, these are appreciated in the market. We are a customer focused organization, which aims at maximizing the satisfaction of the clients by providing them optimum grade products. All the offered products are sourced from trusted vendors of the market, which are of high repute. Our vendors are selected by us after having deep assessment of their market credibility. Owing to the client-centric approaches and ethical business policies, we have been able to spread our wings across the markets of Indian Subcontinent, Africa, North Europe and many more Countries.